Once per turn: You can detach any number of materials from Machine Xyz Monsters you control, then target that many cards on the field; destroy them. 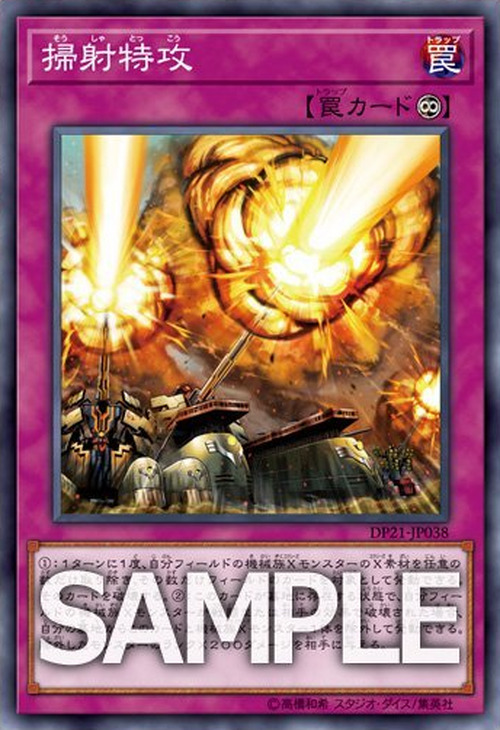 If a Machine Xyz Monster(s) you control is destroyed by battle or an opponent’s card effect while this card is in your GY: you can banish this card and 1 Machine Xyz Monster in your GY; inflict damage to your opponent equal to the Rank of the banished monster ×200. From left to right, Number 81: Superdreadnought Rail Cannon Super Dora, Superdreadnought Rail Cannon Juggernaut Liebe and Superdreadnought Rail Cannon Gustav Max appear in this card's artwork. A Blitzkrieg is where an attacking force is spearheaded by armored and mechanized infantry. The term was first used to describe German infantry. The Railway Cannons that inspired the XYZ are based off of the drafted during WW2.